Beijing, China (FN), Jan. 21 - Prime Minister Hun Sen has requested China's Huaneng Hydrolancang International Energy Co Ltd, the company that builds Cambodia’s Lower Sesan 2 Hydroelectric Power, to consider investing in environmentally-friendly energy in the kingdom. 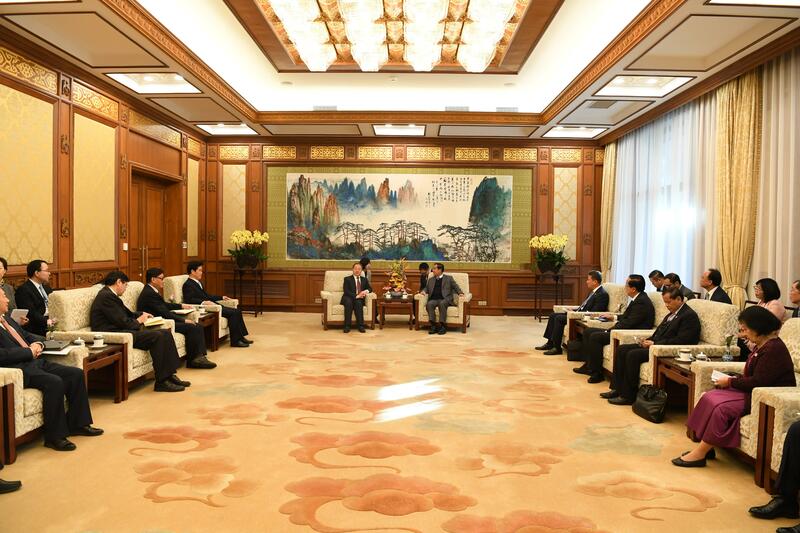 The premier’s request was made receiving courtesy call from Shu Yinbiao, Chairman of the Board of Directors of Huaneng Hydrolancang International Energy Co Ltd, on Monday, in Beijing, China. Shu Yinbiao informed the premier his interest in solar power investment projects and the plans to build oil/gas pipeline from Sihanoukville province to Phnom Penh. Cambodian Prime Minister agreed with the company to conduct research to invest in clean energy production in Cambodia.